If you hear the name “Reebok” and think of your favorite running shoes from high school track, that's understandable. The company is pretty well-known for their athletic footwear, and it's been that way for quite awhile. But a lot of people don't realize that R ... (see full details) (see specifications) #RB7000. If you hear the name “Reebok” and think of your favorite running shoes from high school track, that's understandable. The company is pretty well-known for their athletic footwear, and it's been that way for quite awhile. 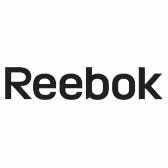 But a lot of people don't realize that Reebok isn't just for marathons these days. In fact, they've combined their expert level of knowledge on athletic footwear with a serious amount of technology and research to bring you the Reebok Men's RB7000 Black 6-Inch ZigKick Non-Metallic EH Composite Toe Leather Athletic Boots. These men's boots aren't just comfortable. They're also engineered to keep your feet safe, protected, and healthy. They're constructed of black leather and measure 6 inches tall from their soles to top of the shafts. Front lace-up closures ensure an adjustable fit just like...well, running shoes. You'll have the ultimate comfort when you're wearing these Reebok boots. The durable rubber outsoles are slip-resistant, as well as resistant to the degrading effects of oil. You'll have better traction, and the black boots will have more long-lasting wear. Win-win! You'll know these safety toe boots are from Reebok the minute you feel them working with your feet rather than against them. That's thanks to the built-in ZigTech EVA midsoles and TPU heel stabilizers, which provide excellent shock absorption when your heels touch down. The midsoles are also lightweight and flexible, so they bend naturally with your feet and don't leave you tired and sore. These men's boots are designed to meet ASTM F2413 standards for workplace footwear safety. Built-in extra-wide composite toe caps provide impact protection, and 100% non-metallic construction protects against electrical shock hazards. The finishing touches are located inside the non-metallic boots, where you'll find moisture-wicking nylon mesh linings for breathability and temperature control. Exclusive FootFuel injected EVA removable footbeds provide cushioning and even more shock absorption. Who knew you could enjoy the comfort and superior quality of Reeboks somewhere other than the track or the basketball court? Well, you know it now, and pretty soon hard-working men all over the world will know it, too. Once they start realizing the benefits of the Reebok Men's RB7000 Black 6-Inch ZigKick Non-Metallic EH Leather Athletic Composite Toe Boots, word is gonna travel faster than any marathon runner. Order your pair today from Working Person's Store! Reebok Boots: Men's RB7000 Black 6-Inch ZigKick Non-Metallic Composite Toe Athletic Work Boots is being added to your cart.